This weekend was just so much fun - lots of laughs, visits and birthday celebrations with dear family friends, inspiring sermons at church, and leisurely lounging on the lake. On Saturday, we had some of our closest family friends - 'aunt' Mary and 'uncle' Juan - visit from the southern tippy toes of Texas. It also happened to be Mary's birthday, so the whole gang (11 of us!) 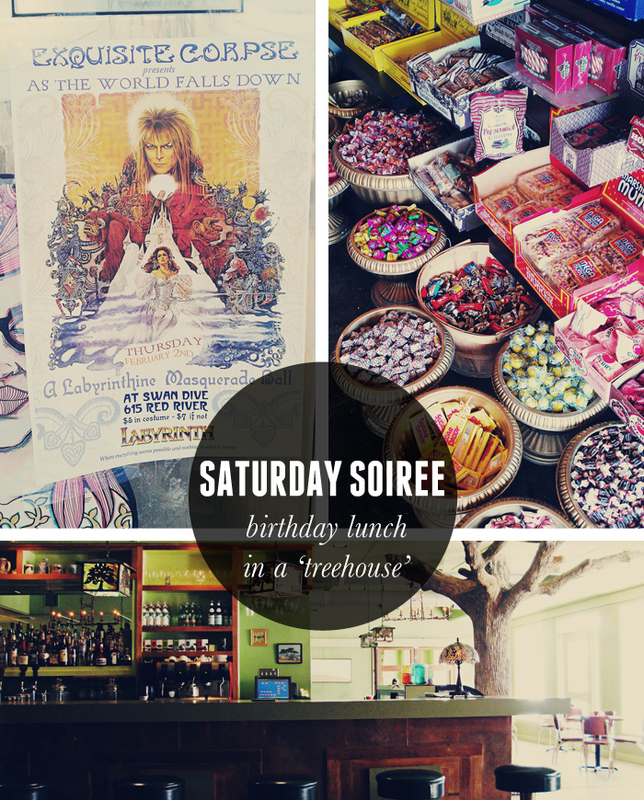 rallied for a lunch date at The Woodland on Congress. We laughed and listened to stories about my sweet granny, revamping the term 'family', what Austin was like in the '60s, and my dad getting a pie in the face at one of his past birthdays. What I would give to have seen that!! We noshed on eggs benedict, turkey brie sandwiches, and quiche. We, of course, saved room for chocolate birthday cupcakes with fluffy pink frosting for Mary's birthday. Hope that birthday wish of yours comes true! It was such a treat having our fam get together like that on the weekends....it's one of my favorite things about living in Texas!! PS See that Labyrinth masquerade poster? John was like a giddy five year old when he saw that. Of all the movies, they had to pick one of his faves....bring on the Bowie wig and tights! 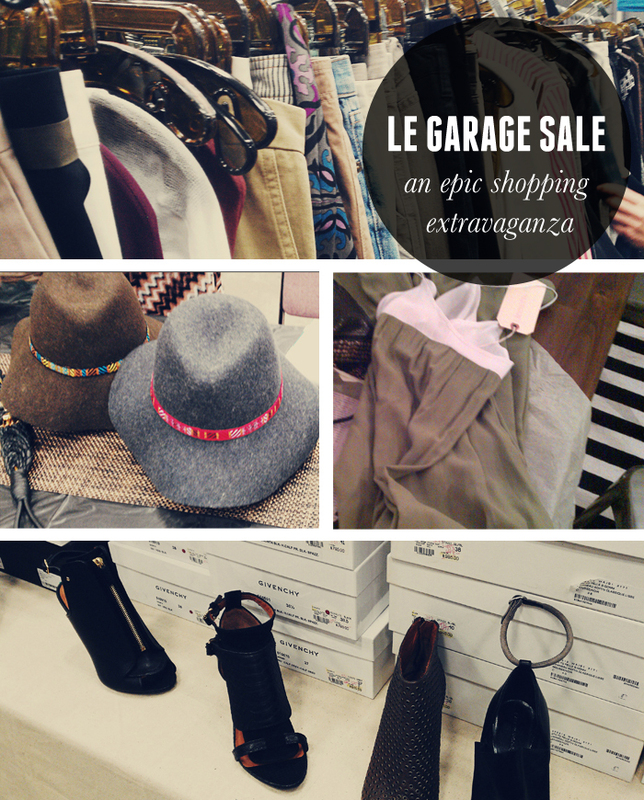 After my belly was stuffed full, I headed over to Le Garage Sale to meet some girlfriends for a shopping extravaganza. There were tons of awesome shops there - By George, Maya, Etcetra Etc., Fawn + Raven, Adelante - with their merch slashed down 50%-75%. Umm, ya. After doing an 'observatory lap' around the arena where I may or may not have been some rabid women throwing elbows to get to a sparkly sequin mini dress, I started scanning the racks and my ADD went into total overdrive. I'm sure my pal Mandy (ps hire her if you need some amazing on-air talent) can attest to that, ha! Anywho, it was huge and overwhelming and fun and exciting. I managed to snag a pair of $20 Dolce Vita sandals, a gorgeous olive green maxi dress, that rad felt hat you see below, and 2 sparkly necklaces. Perhaps I'll grow some cajones and manage an outfit post. I don't know why I am such an awkward annie when it comes to those darn things!! We shall see if my stylepostisitus ever cures. 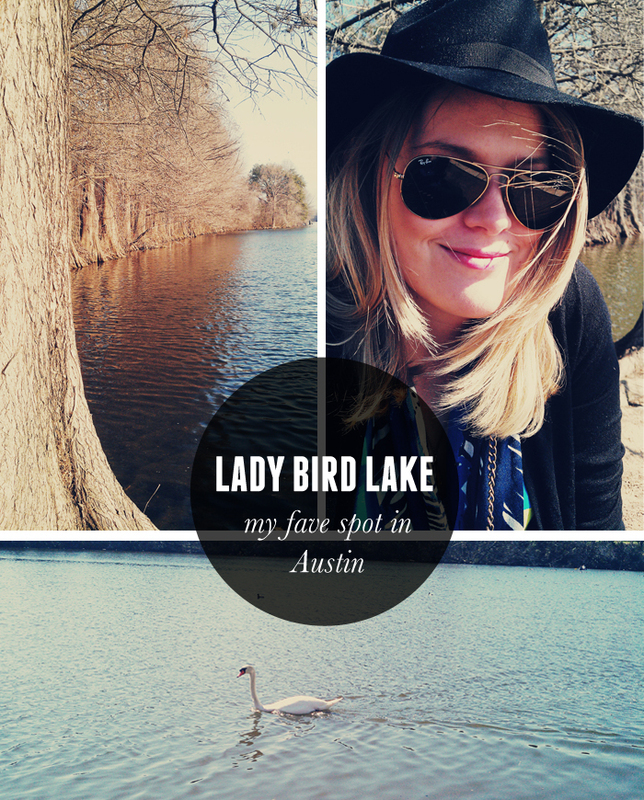 The trail on Lady Bird Lake is by far one of my most favorite places to go in Austin. It feels like a little mini vacation. John and I went to what is probably one of our favorite church services yet (the pastor spoke about false idols and how to combat them), and it was so inspiring and moving. Apparently the guy who kept proclaiming "AMEN!!!" behind us thought so also, ha! After the service, we walked to the lakefront and chilled on a bench, basking in the sun and watching the swans swim by. It was pretty romantic until some canoers came by and started feeding the swan. Those big birds don't mess around when it comes to food. I swear I thought he was going to get his eyes pecked out after the guy refused to give him more bagel! That swan should totally thank him though....doesn't he know that carbs totally make your tail feathers look big? I kid, I kid. sounds like such a lovely weekend. great photos! So I think I am going to come to Austin and need you to take me on instant replay of this weekend. Sounds like so much fun! Wow, amazing finds! What a score on those sandals! Love Town Lake!! Never fails to calm me on a stressful day. And now I must go to Le Garage Sale!